In the past few years we’ve witnessed the launch of more than a dozen HMDs (Head Mounted Displays). Several of them are already available in large numbers. HMDs focused on entertainment (Oculus, Vive) rely on taking over visual perception completely via Virtual Reality. 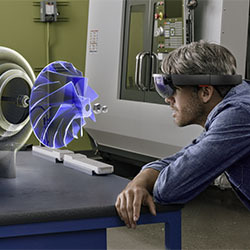 HMDs focused on productivity (HoloLens) mix real life with computer generated imagery drawn upon a transparent display. There are other combinations and means of mixing visual information, so all of this technology has recently been put under the umbrella term Mixed Reality. After Google experimented with integrating a glucose level sensor on a contact lens, it was only a matter of time before we would see more innovation in this field. 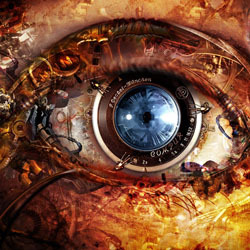 A recent patent filing from Sony describes the intention of putting a camera inside a contact lens. While this toy won’t exactly be invisible –at least not at first – the privacy implications are quite serious. We’re still at least a few years away from market availability, but I imagine that after several product cycles, such a camera could reach a pretty good recording resolution. Coupled with wireless transmission to a storage device, people will eventually be able to record everything they see, everywhere they go. Every single person that I’ve witnessed give virtual reality a try has been floored by the experience – especially the ones that didn’t see it coming. Even those who knew what it’s all about came back with amazed expressions once they took off the HMD (head mounted display) for the first time. I placed my bets on the fact that virtual reality is going to skyrocket faster than most people expect it to. The rather expensive hardware required will definitely make some customers think twice. However, there are already plenty of gamers out there who own powerful hardware. 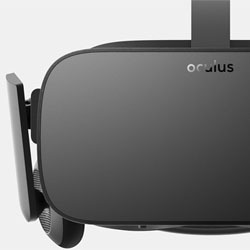 They will be joined by early adopters who will make sure that they can properly run most of the VR experiences. They will show these programs to relatives and friends, which will feed the wave of excitement. And so, a new technological revolution will begin.